On the cusp of fifty, Adam Sharp has a loyal partner, earns a good income as an IT contractor and is the music-trivia expert at quiz nights. It’s the lifestyle he wanted, but something’s missing. Two decades ago, on the other side of the world, his part-time piano playing led him into a passionate relationship with Angelina Brown, who’d abandoned law studies to pursue her acting dream. She gave Adam a chance to make it something more than an affair—but he didn’t take it. And now he can’t shake off his nostalgia for what might have been. Life doesn’t give us a lot of shots at second chances. Quite apart from the fact that it moves along too fast to pause long enough for a do-over, the odds of the same people and the same circumstances aligning in just such a way that another crack at something is even possible is remote indeed. But wonders author, Graeme Simsion, who has a tremendous gift for crafting quirky love stories full of wit, charm and profound meaning, what if you did get another chance, in this case with your very first love? Would you take it and see where it leads? Or would you subscribe to the school of thought that says you can never go back – the idea being that in the intervening years you and that person have changed and so things can’t possibly be exactly the same anyway – and leave it to the “what-ifs” and “might-have-beens” of late. For everyone who doesn’t want to see where that other Sliding Door might take you, The Best of Adam Sharp gives you the opportunity to live vicariously, to see what a second chance looks like and whether you will gain enough to justify everything you will inevitably lose in the process. Big decision and one that doesn’t come along all that often. Let the major, no doubt amusing yet touching, existential life crisis begin. 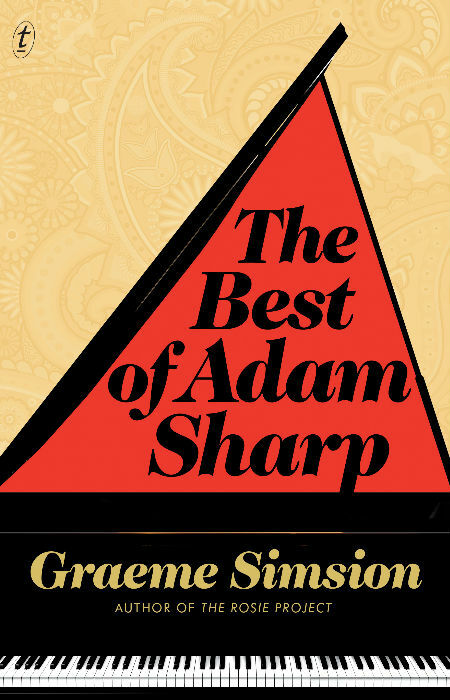 The Best of Adam Sharp released 19 September.